Welcome to the 6th edition of Five Things Friday!!! 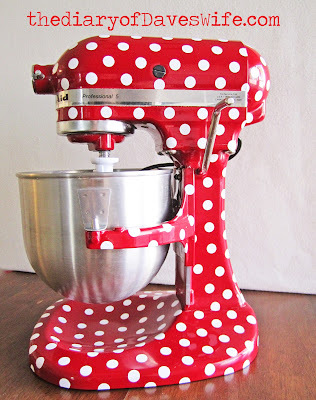 Is there anything cuter to add to your kitchen than this Polka Dot KitchenAid Mixer from the Diary of Dave's Wife? 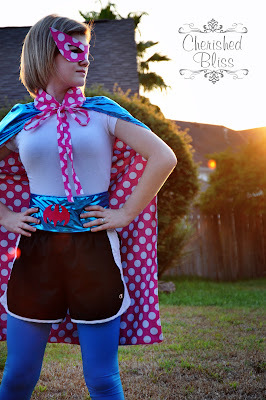 This Polka Dot Superhero outfit from Cherished Bliss is so fun!!! Extra points for an super-cool photo shoot! I love the bright colors of these polka-dot Easter egg finials from Stay-at-Home Artist! This cute polka dot bulletin board from A Nest for All Seasons is just so simple and fun!!! 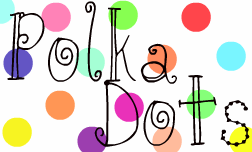 Sugar and Cloth made these polka-dotted flats that are simply Ah-Ma-Zing!